Blue Nugget Claim, Crystal Peak area, Park Co. 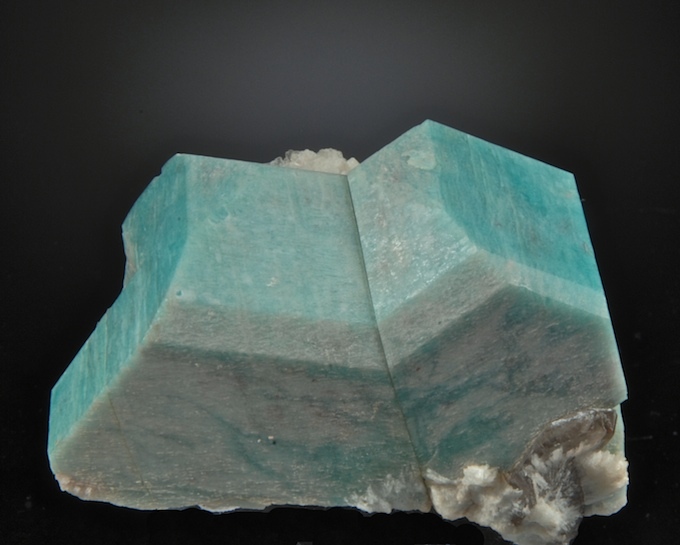 Textbook form crystal with classic habit Manebach twin and nice green color. This specimen is repaired (reassembled) as it had split along the twin plane in the pocket. A further growth of the separate parts has prevented the repair from seamless. Despite that the structure and form are very good and this is an excellent, affordable example of the twin law. 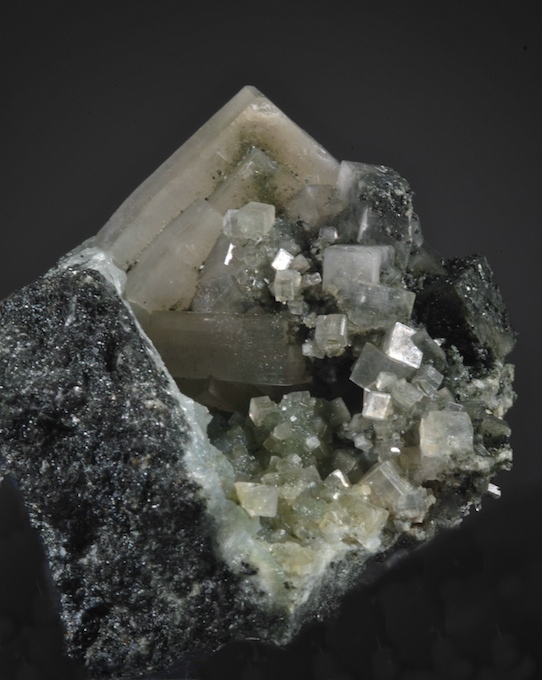 A classic specimen from Centreville, Virginia with sharp, well defined white Apophyllite crystals contrasting with green Prehnites. This example is in excellent condition, good display quality for the size and quite affordable for one of these. 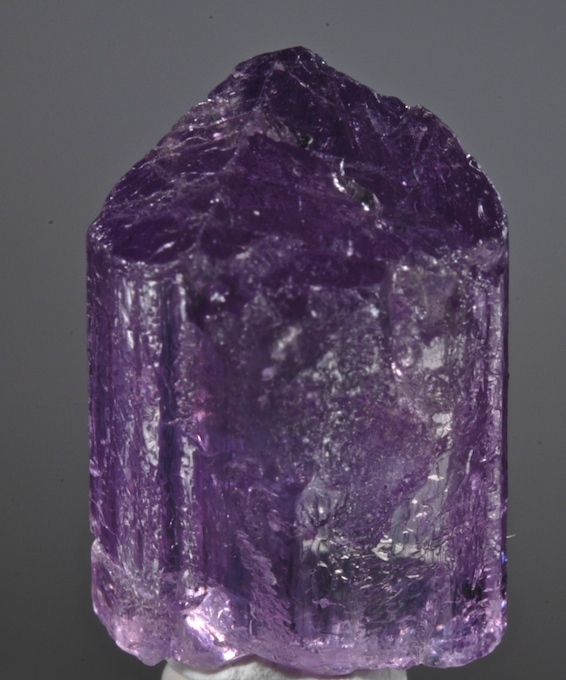 A rare Chinese gem Scapolite with very intense purple color, much of which is clear enough to facet. 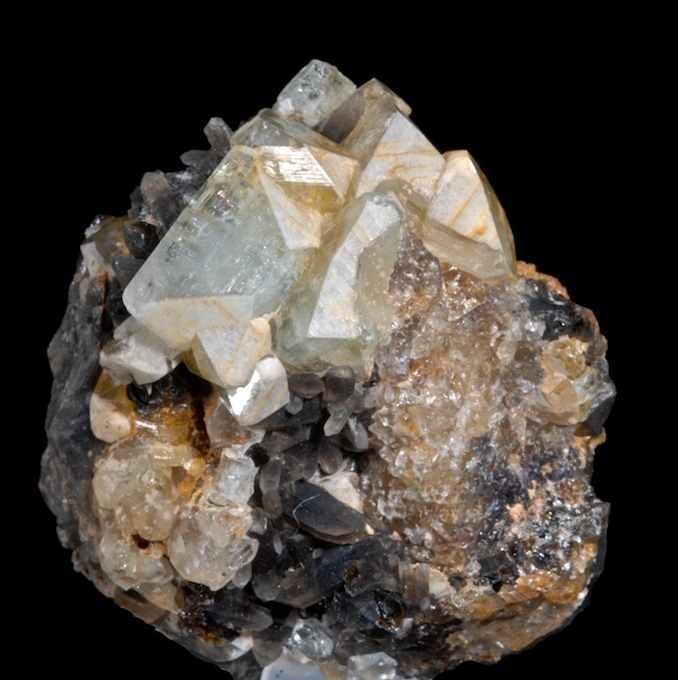 We see very few specimens of any sort from Xinjiang, this Scapolite was from a small one time find over ten years ago when the deposit was listed as "Daftar". Analysis shows that these are a Marialite variety with some chrome adding the color. This is much deeper hue than most. Some chipping is noted with 10x magnification so this is not for perfectionists but it is still a very good, richly colored crystal that shows some clear dichroism. 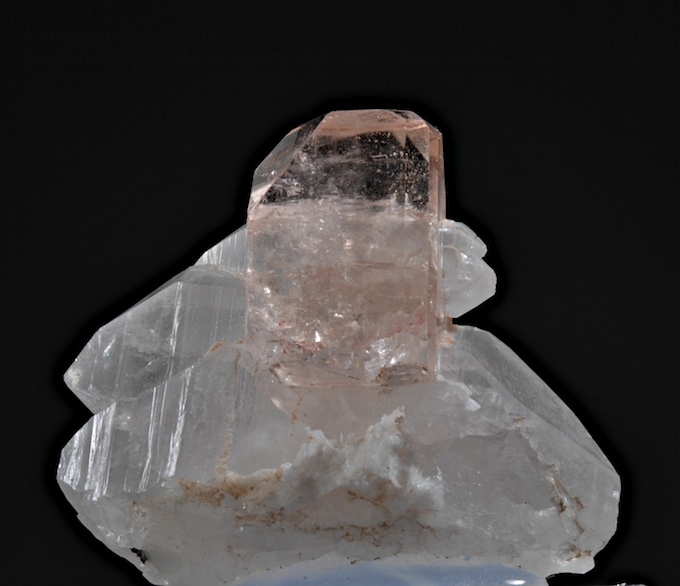 Sharp gem Topaz nicely perched on doubly terminated quartz. This has a delicate light natural pinkish to sherry color and sharp, glassy luster that presents well from any angle. No damage (which is quite rare as well) from finds more than a decade ago. Esthetic and a very good value. A simple attractive small specimen from the now classic Elmwood mine. 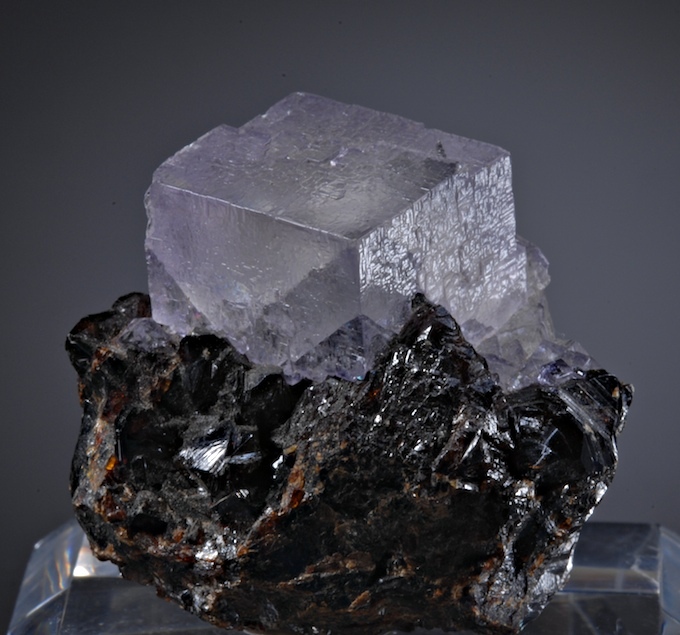 An affordable Fluorite on Sphalerite with frosted faces, lilac hue, subtle zoning and nice contrast. Not perfect, so not expensive - there is some very small edge rubbing and a cleaved crystal at the rear. Still attractive and a good value there have not been many Fluorites recovered in the past 2 years. Natural blue Topaz from the Urals is a prized European classic. This is a distinctive piece with the Topaz in excellent condition. Notable selective frosting on some faces, zoning and fine clarity. 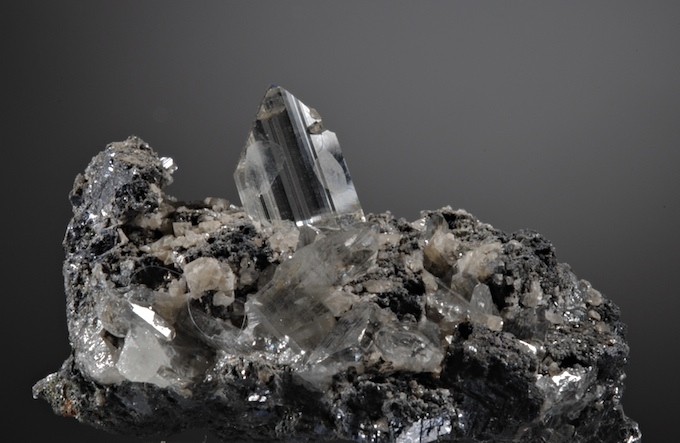 Along with the Quartz are what look like crude Colombites and Actinolite sprays. Very affordable for one of this quality. Classic old English Calcite from the Egremont mines, Ex Larry White collection. 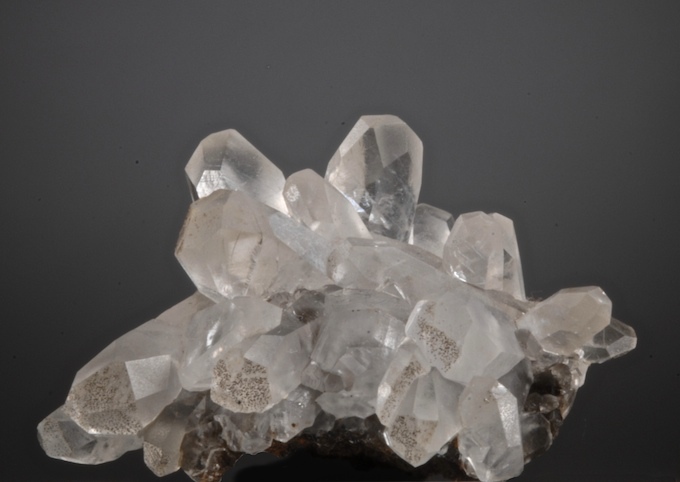 The habit and clarity are typical of this region and these Calcite can be very expensive when they turn up at shows. Fine condition and eye clean (no damage noted by naked eye)the crystals have a slightly milky look but are still fully transparent.